Cedar Hill City Council is asking voters to turn out and approve several items for the Tuesday, November 7 election. They hope to get approval for a new bond program, while also asking for a continuation of the Crime Control and Prevention District. The bond program would require issuance of $45M in general obligation bonds. These bonds would finance infrastructure, parks and recreation, and library improvements over the next five to seven years without a tax rate increase. Continuing the Crime Control and Prevention District (CCPD) would involve continuing to fund these agencies through 1/8 of one percent sales tax. The following breakdown of the bond program was submitted by the City of Cedar Hill. Proposition A: Streets & Drainage ($10 million) – Authorizing issuance of $10 million in general obligation bonds for infrastructure improvements, including: Repair and improve roadway and drainage facilities throughout the city; signalization and monitoring equipment to help ease traffic congestion; installation of street lighting to improve safety; intersection improvements, including sidewalks, ramps, and push buttons for pedestrian crossings; and landscaping, hardscaping, and lighting improvements along Highway 67 corridor. Proposition B: Library Facilities ($20 million) – Authorizes issuance of $20 million in general obligation bonds for a new public library. 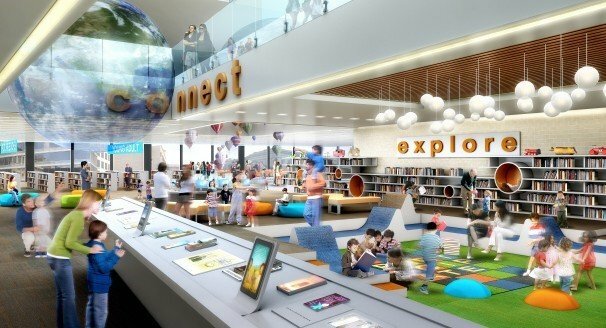 The project would replace the current 10,000 square foot library with an approximately 46,000 square foot facility designed to meet current and future needs, based on Texas Public Library Standards. 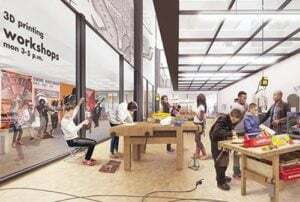 The new facility would provide for technological enhancements, flexible program space, and community meeting rooms that are not feasible in the existing structure. Businesses and Entrepreneurs: professional and business development programs; small meeting and individual workspaces; video conferencing capabilities; and a digital media lab with audio/visual and other specialized software. Community: community meeting facilities and collaborative learning spaces; makerspace with 3D printer and other amenities; genealogy and language programs; and collaboration with the Cedar Hill Historical Museum. 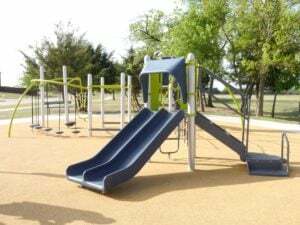 Proposition C: Parks & Recreation Facilities ($15 million) – Authorizes issuance of $15 million for development and improvement of parks and recreation facilities throughout the city. The following projects are included: Improve neighborhood and community parks to enhance safety and accessibility according to current ADA compliance standards, including wheelchair accessibility to trails and structures; Enhance and replace playground equipment for children of all ages and capabilities, including accessibility and special needs improvements, fall protection, and shade structures; Update creative play structure in Virginia Weaver Park to be accessible for children with special needs; Make repairs and improvements to the Senior Center; Replace Crawford Park Pool; Complete initial phase of centrally located signature community park that would provide amenities and programming for residents and visitors and will be linked to Cedar Hill’s existing network of parks, trails, and open spaces; Construct multi-use trails. In 2012, voters approved a ballot measure that allowed the City to designate a portion of existing sales tax revenue to fund community safety and crime prevention initiatives. Since the creation of the CCPD, the overall crime index rate has decreased by 10 percent. The initial five-year term of the CCPD expires in November 2017, and citizens will be asked to consider extending the CCPD for an additional 15 years. For more information about the November 2017 election, visit www.cedarhilltx.com/bond.